Dozens of local leaders gathered last Thursday at the Long Beach office of the College Internship Program (CIP) to discuss opportunities to help more Long Beach residents with disabilities find jobs, RespectAbility announced. Hosted by CIP, which offers support, services and job training to young adults on the Autism spectrum and students with other disabilities, community organizations in attendance included AbilityFirst, CA Charter Schools Association, CIP of Long Beach, California State University of Long Beach, Easterseals Work First, Fiesta Educativa, Goodwill SOLAC, Harbor Regional Center, Hillside Enterprises, ICAN: California Abilities Network, Jewish Federation of Greater LA, Khmer Parent Association, Long Beach City College, Long Beach Unified School District, Social Vocational Services and RespectAbility. During the meeting, RespectAbility revealed their Tools to Drive Employment resource, released in November, which summarizes key steps the community can take to increase job opportunities for those with disabilities. The report was made possible by a Knight Foundation grant and support from the Long Beach Community Foundation. Attendees brainstormed ideas based on the concept, “Progression Goals from Headstart to Independence”. 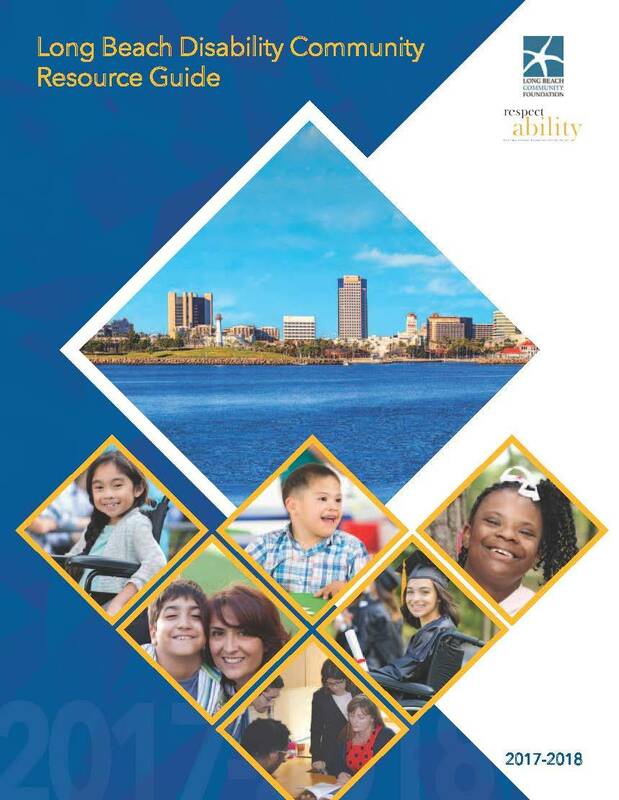 Long Beach is home to more than 46,000 people with disabilities, while local schools teach more than 9,000 students with disabilities, according to the release. Recommendations on making the best of limited resources, raising public awareness and proving free resources. Support for businesses to recruit and hire employees with disabilities. Prioritize youth with disabilities as a key part of local workforce strategies. “[…]Organizations involved in the conversation made new commitments around reaching out to federal contractors, examining ways to align local policies to support employment, and looking at the talent pipeline of students with disabilities on track to leave the local school system,” stated the release. Also discussed was the need to make opportunities in local and city government fully accessible to people with disabilities, pursuing career opportunities with federal contractors in Long Beach (under regulations implementing Section 503 of the Rehabilitation Act of 1973) and recognizing inclusive employers and connecting them to students with disabilities. Upcoming events in the greater Long Beach area include a Transition Resource Fair on April 25 hosted by the Harbor Regional Center and CIP will host a Conference and Mini Job Fair in partnership with Let’s Talk LD on April 28. For more information, visit the website here.